Set in 2020, civilisation has collapsed following the arrival of mysterious (seemingly alien) monsters who hunt only by sound. Living entirely in silence, a family (John Krasinski, Emily Blunt, Millicent Simmonds and Noah Jupe) survive on an isolated farm. 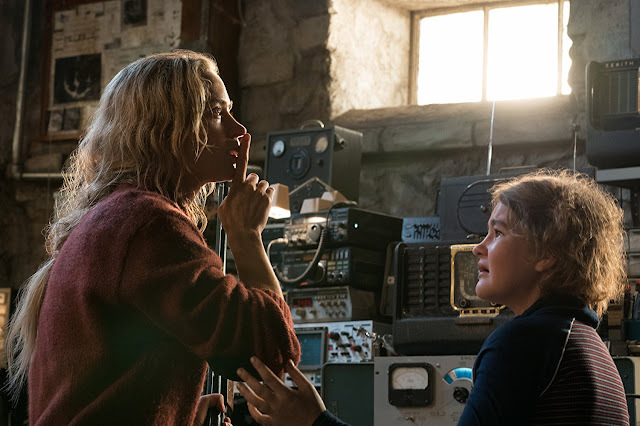 Following a rather sobering opening scene, A Quiet Place is quick to establish a dark and ruthless subject matter. Cutting forward to a year later, a stern but desperate family man, Lee (Krasinski), works tirelessly to keep his family safe; laying down sand paths, communicating only in sign language and educating himself on the movements of the monsters surrounding them. However, despite his best efforts, their fragile existence soon comes under further threat with his heavily pregnant wife, Evelyn (Emily Blunt), soon to give birth. As co-writer, director and lead actor, Krasinski proves he is a man of many talents with this original, psychological thriller. 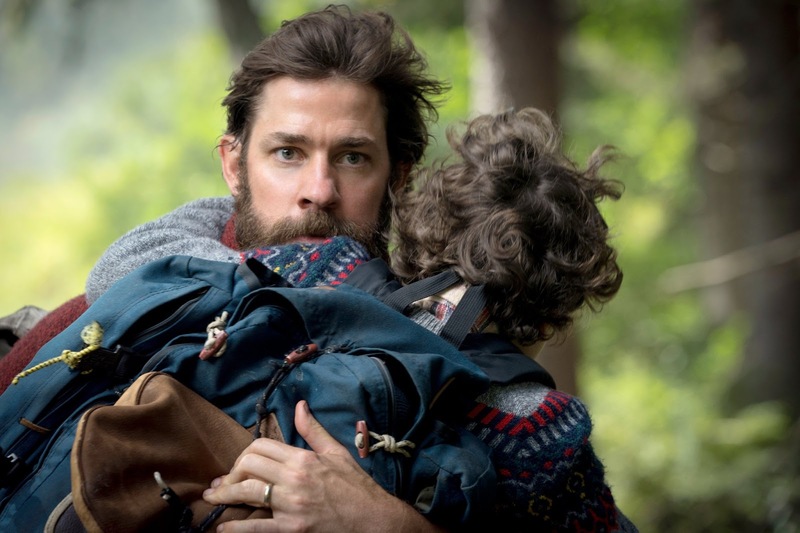 Whilst the storyline may sound bizarre on paper, Krasinski does a fantastic job of creating a preposterously tense narrative which will keep you transfixed from start to finish. The real skill, also, comes from developing the back-story without any dialogue. We never actually find out where the creatures have come from. Due to minimal, only essential spoken word, we have to assume that the characters knew of their arrival but have much to learn about defeating them. Instead of laying it all out on a plate for us, Krasinski has more faith in audiences to fill in the gaps where necessary. How they survived this long without making a single sound is, of course, a bit of a plot hole. It's best not to over think certain unmentioned aspects of the story and look at the bigger picture. Though it features some genuinely very intense and somewhat terrifying moments, ultimately, it is a story of a man who will do whatever it takes to protect his family. With that, comes a number of beautiful and devastating scenes - acted brilliantly by the entire cast - in particular, Millicent Simmonds (real-life deaf actress) who delivers a breakthrough performance. 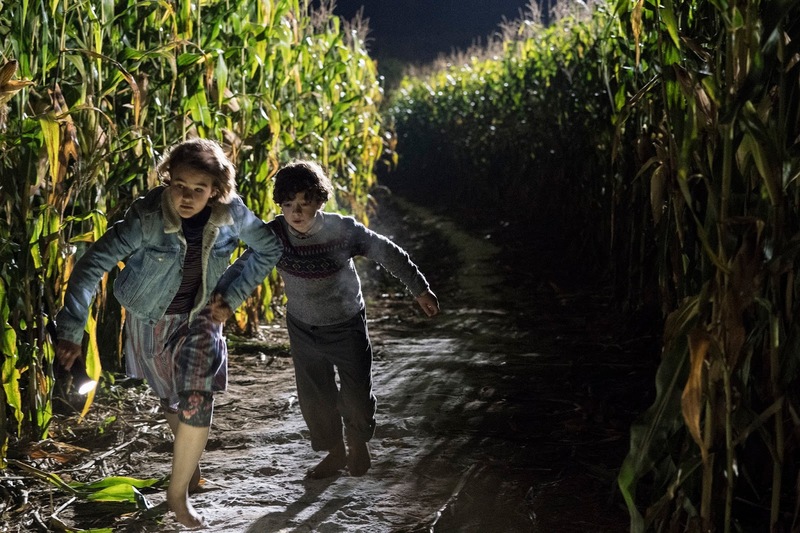 Unlike many apocalyptic dramas where disaster comes from the friction among the survivors (such as The Survivalist (2015) and It Comes At Night (2017), A Quiet Place plays with it's genre conventions. Instead, it focusses around a family bond that holds fast. Overall, A Quiet Place is a unique horror thriller - full of tension without hardly a word uttered. The final reveal of the monsters showcase some original creature design, alongside a host of brilliant performances from the entire cast. 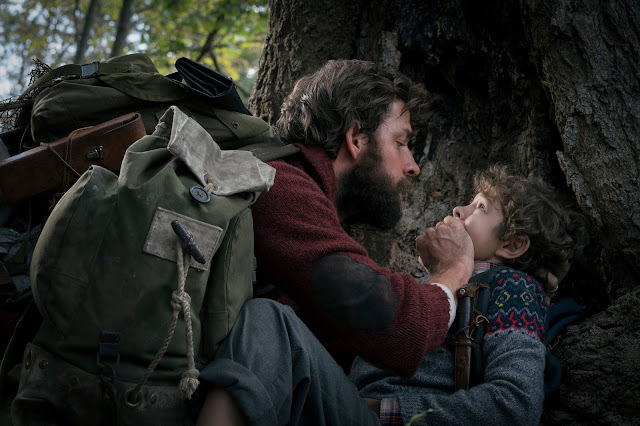 A Quiet Place gets a Sophie star rating of 4 out of 5 stars - one of the must-see films of 2018. Well, that's it for another film review. I had high hopes going in to this film but never did it disappoint. I'm so proud of John Krasinski and can't wait to see what he comes up with next. But tell me, have you seen A Quiet Place yet? What did you think of it? As always I love reading your comments so please do leave me lots of lovely ones below. this sounds like such an interesting movie, I would love to watch it!